The functions of filtration performed for removal of contaminants in water is largely divided into physical, chemical and biological filtrations. Aquarium water contaminants such as organic matters and nitrogen are physically and chemically removed by filter media including ADA Bio Rio and ADA NA-Carbon, and then finally decomposed by filtration bacteria, protozoa and other microorganisms. How to Promote Rapid Growth of Beneficial Bacteria? To achieve effective filter functions, it is necessary to promote rapid growth of filter bacteria, protozoa and other microorganisms. The filter media such as ADA Bio Rio and ADA Bio Cube adopt the material and structure conducive to the bacterial growth. 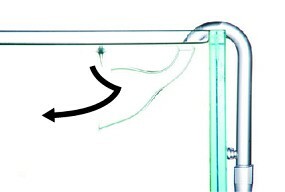 To further stimulate the growth of beneficial bacteria, you may transplant a small amount of filter media from another fully-functioning filter and add ADA Green Bacter to the aquarium. The organic acid contained in ADA Green Bacter nurtures the beneficial bacteria in a new aquarium and gives them a boost. Promote the growth of filter bacteria to establish a successful filtration. 1. 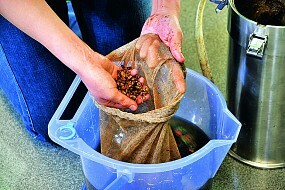 One way to promote the growth of beneficial bacteria is to transplant some filter media from another filter. 2. Organic acid contained in ADA Green Bacter gives the beneficial bacteria a boost. 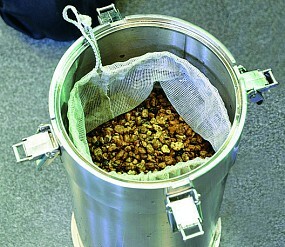 Most of microorganism in the filter are aerobic and thrive on oxygen. 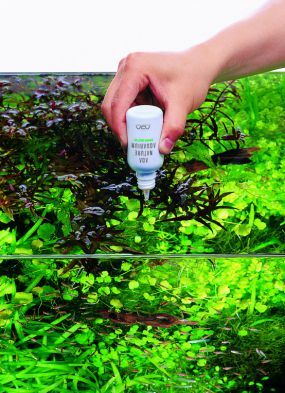 Therefore, it is necessary to supply oxygen-rich water to an aquarium at all times. When the lighting is turned on and aquatic plants perform photosynthesis, the aquarium water has a rich oxygen concentration. In contrast, during the night time when the lighting is turned off, aquatic plants stop their photosynthesis and perform aerobic respiration, resulting in a lower oxygen level of the aquarium water. For this reason, aeration is performed while the lighting is turned off during the night to prevent a lack of oxygen. Aeration can be carried out using an air pump or ADA Lily Pipe. 1. 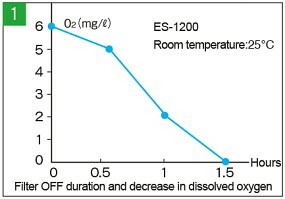 The above graph shows that microorganisms consume a considerable amount of oxygen. 2. Aeration is performed using ADA Lily Pipe to prevent a lack of oxygen. Long-maintained aquariums may experience sudden algal growth and a deterioration of water quality. In most cases, these problems are caused by deteriorated filtration capacity due to the sludge buildup on the filter media. To maintain high filtration capacity, it is advised to place filter medias in a bucket and clean them with aquarium water. The combination of anthracite and ADA Bio Cube that comes with ADA Superjet Filter ES-600 effectively removes fine contaminants in aquarium water and promotes rapid establishment of biological filtration. Once the biological filtration starts functioning adequately, anthracites are replaced with ADA Bio Rio to enable a stable and sustainable biological filtration. In the event that biological filtration temporarily slows down due to a reason such as clogging of filter media, ADA NA-Carbon should be added to supplement the filter’s filtration capacity. 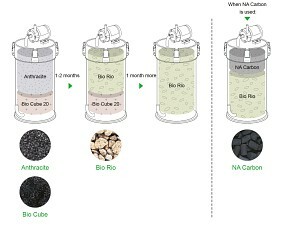 Replacement of ADA NA-Carbon is made easy by installing it on top of ADA Bio Rio. Aquarium water gradually gets dirty due to fish feces and other contaminants. 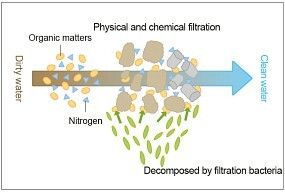 Filtration functions of a filter remove these contaminants and clean the water. Once the filtration starts working stably, the clarity of water is improved and algal growth is inhibited. It is crucial to optimize the biological filtration with the help of bacteria and other microorganisms, which is the most important in filter’s function. ADA Superjet Filter series produces different water flows with different outflow pipes attached. 1. 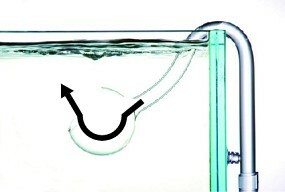 Water flow from ADA Lily Pipe: Has an effect of reducing film on water surfaces. 2. 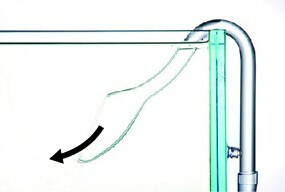 Water from Do!Aqua Violet Glass: Prevents air from entering the pipe. 3. 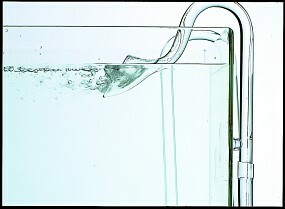 Water flow from ADA Lily Pipe Spin: Suitable for small-size aquariums. 4. 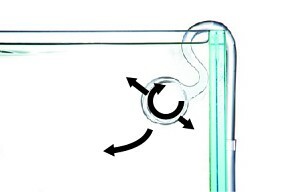 Water flow from Poppy Glass: Creates large ripples on water. To cater for various aquarium tank size and applications, the ADA Superjet Filter series offers a lineup consisting of 11 models in different sizes. 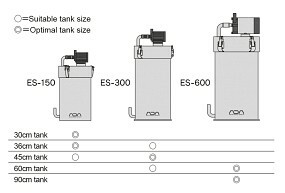 Apart from ES-1200 and ES-2400 (specifically designed for large aquarium tanks), you can refer to the above table for suitable tank sizes for ADA Superjet Filter ES-150, ES-300 and ES-600.